The Ford Transit is without doubt one of the most famous and popular commercial vehicles in global motoring history, with a massive 6 million sold since their introduction in 1965, and that number is always climbing. The Transit is a front runner in the van world, being constantly updated and setting the standard for the industry, as well as for Ford’s large range of alternative commercial vehicles. Their reliability, versatility and adaptability have catapulted Ford’s commercial range into recognition as some of the finest and most customizable working vehicles in the world. The variety of specifications and options for each model in their range have made them indispensable tools in all kinds of industry, but also make their insurance premiums extremely difficult to predict, since so many of their rating factors can be altered and customized. Luckily, Confused.com is here to help. Cars on UK roads are allocated an insurance grouping by the ABI (Association of British Insurers) to help calculate insurance premiums. Vans can be recommended insurance groups, but insurers can rely on a range of other factors to calculate prices. Below, you can find a list of the new vehicles currently available in Ford’s commercial range, along with some of the customizable and key specifications that will impact their cost to insure. You can use this information to consider not only what Ford van, with what options is best for you, but also how the various options for that model might affect your insurance premium. *Information sourced from the official Ford website and Parkers.co.uk. Motor insurance policy prices are influenced by a huge variety of factors based on you, your history, and your vehicle, making them very difficult to predict, though you can expect commercial vehicles with larger, more powerful engines or more seats to increase your insurance premium. You might also be interested in some of our guides on van insurance, including tips for saving money on van insurance. American multinational automobile manufacturer Ford has been a world-wide market leader in the production of affordable, quality motorcars since their foundation on June 16th, 1903. Ford introduced many methods of large-scale vehicle manufacture and industrial workforce management, such as the assembly line, which started the progression of motor vehicles from a luxury commodity of the wealthy to an affordable family item. By 1914 these production methods were known around the world as Fordism, and they have now maintained their position at the head of the affordable family vehicle market for over a century. 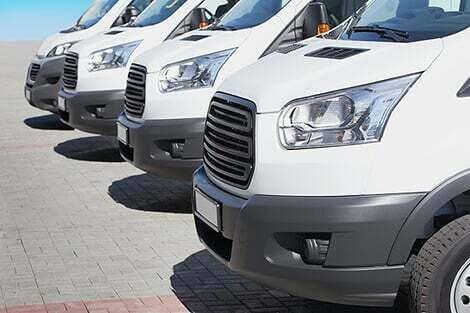 Their modern range of commercial vehicles may have been designed with the job in mind, but can look and feel comfortable, quiet, smooth and safe, in a way you’d more often associate with a car than a commercial vehicle. Just like their family vehicles, their commercial trucks and vans have set standards across the industry and enjoyed being some of the most popular working vehicles on the road worldwide, with the iconic Transit having sold more than 6 million units since their introduction in 1965. Parkers.co.uk is a car review site with lots of useful tools, tips and guides on van insurance. The DVLA website can help you calculate what tax band you can expect to find your Ford van in. You can use Confused.com’s quick and impartial comparison tool to compare prices for your Ford van insurance in minutes – just click the button at the top of the page.